Reading, U.K. — Point of Rental today announced that it has integrated its Syrinx software product with Sage Pay, allowing users to provide a one-step credit card payment option to its customers. This integration allows payments to be seamlessly processed via Sage Pay PDQ machines (known as point of sale terminals) or via Sage Pay’s token system. This streamlines the credit card payment process whilst greatly increasing security. 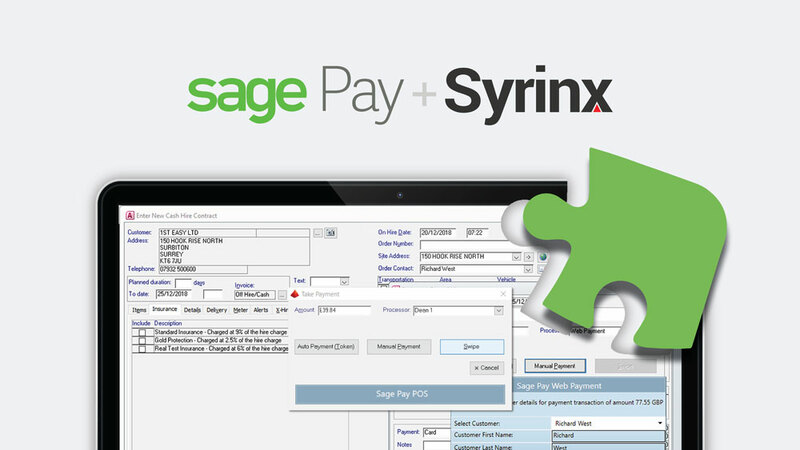 The integration allows payment values to be passed directly from Syrinx’s cash payment feature to Sage Pay PDQ and back, removing rekeying errors and eliminating any other errors from the process. In addition, the tokenisation system makes cardholder transactions, where they are not present, secure and simple; this will help to simplify the bookkeeping process and keep records accurate, while also saving time in reconciliation. “We’re always looking for ways to make our customers’ lives easier. That’s why we’re delighted to partner with Sage Pay to put in place this integration with Syrinx,” Managing Director Point of Rental’s Mark Goodrum said. “Point of Rental is an invaluable addition to the Sage Pay family. Working together we can offer their customers a complete payment solution with added flexibility, reliability and security helping them manage their cash flow better, which is the lifeblood of any business,” Seamus Smith, Executive Vice President, Payments & Banking, Sage, said. For more information about Syrinx’s integration with Sage Pay, visit pointofrental.co.uk/products/syrinx/sage-pay.